I did a Fallout 76 livestream yesterday and I wanted to write an accompanying preview to expand upon my thoughts with the game’s beta, which Bethesda has been running in chunks up to the game’s release next month. From the get-go, the game has you modeling and sculpting your character just like you would in any core Bethesda RPG. I spent a bit of time to make sure my character was chad-enough, had a pompadour, and definitely looked Italian enough. I even named him Chad. 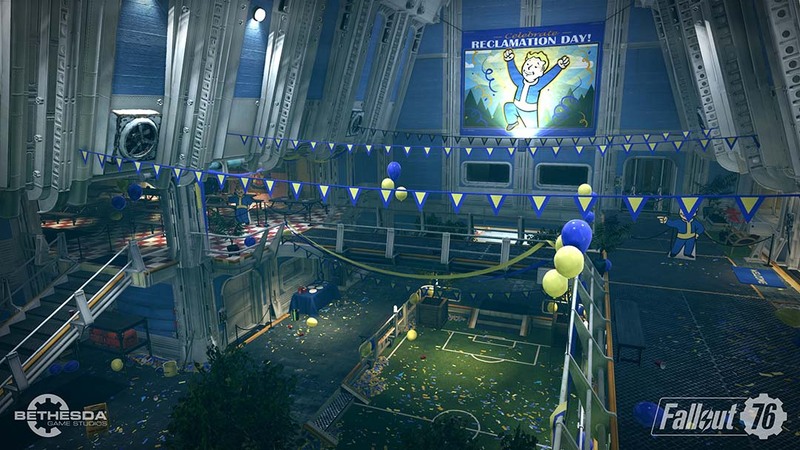 You start off in Vault 76, a control vault that was meant as a normal living environment for survivors of the nuclear holocaust. 25 years after the Great War, the vault is opened, and the denizens within are tasked with rebuilding and repopulating the ruins of America. While the vault itself is a mini tutorial and gives you crucial things like your Pip-Boy. as far as I could tell you’re thrust into the wasteland with just your fists. From the get-go, you have to punch small robots to death. I soon found my first gun, and a few rounds of ammo. 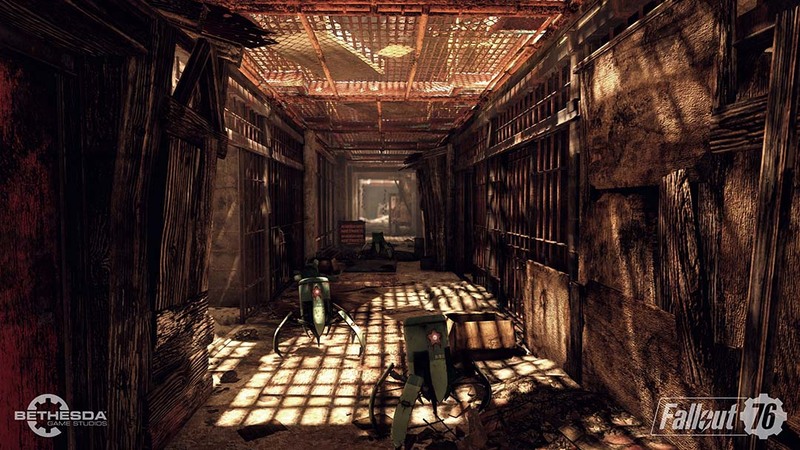 It was sort of weird exploring an open world in Fallout knowing there are other players on the same map. These players are shown on the map at all times, and it was seemingly random whomever was thrown onto the same “world” or “server” as me. We generally kept to ourselves. Since there are no NPCs in the game to really speak of (or so far at least), you’re strung along with small quests and chains of quests to investigate things, find people that died, learn their stories via recorded audio tapes, and that’s really it. There’s nothing else to do but explore and scavenge. I think this is the make or break point in this game for both longtime fans of the series and newcomers. Most fans are used to oodles of NPCs, both memorable and cringe-y, as well as quests to keep you guys as you explore, fight, and scavenge. This is basically just a sandbox to play with. One of the other concerns both myself and other players have had is how much of a “survival” game this is. You have your hit points but you also have the standard hunger and thirst meters – both of which seemed to tick down quite slowly. Thirst is definitely drained quicker, though. 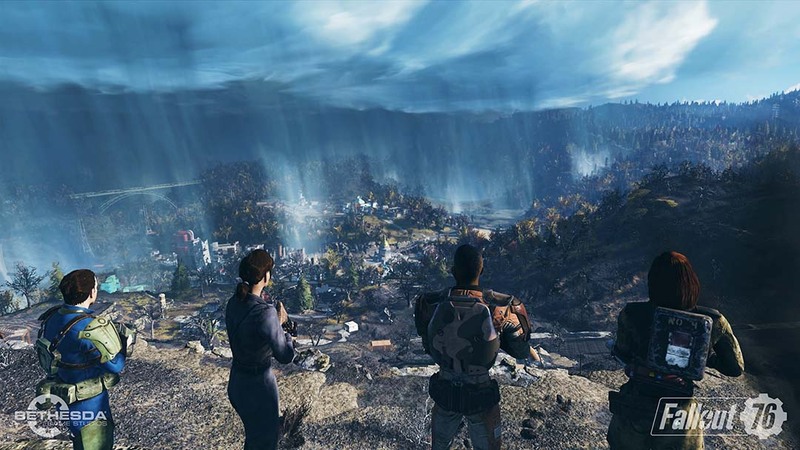 As I mentioned before, you can think of the map of Fallout 76 as the equivalent of an NPC-less map you’d find in Bethesda’s other Fallout games. If you enjoy just exploring, looting, and killing things, you might find some enjoyment out of this game. Other players were focusing almost entirely on the uninspiring main questline and leveled up quicker than me, however, I was hellbent on exploring, killing, and finding better gear. I managed to quickly get a full set of leather armor, a ton of weapons, and building supplies. 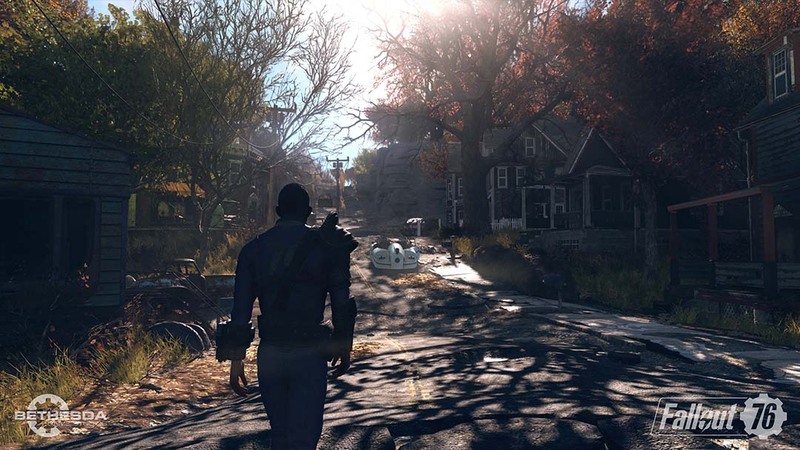 Bethesda notes the core “story”, which is following the notes and audio logs of the Vault 76 Overseer, should take you roughly 40 hours to see through. I’m not sure I really want to actually do that, however, unless you just really really want to know the minute details of her journey. I tend to lean either way in terms of storytelling – I like highly focused and narrative-driven games, and I also like games that simply have you inferring the story by the environment. I’m concerned this is trying to be the latter, but in a gameplay setting that doesn’t work. Sure, there are lots of side-quests to investigate things and reach certain milestones in terms of crafting or technologies, but the game will always lack that extra oomph a well-voiced NPC could have had, in my opinion. 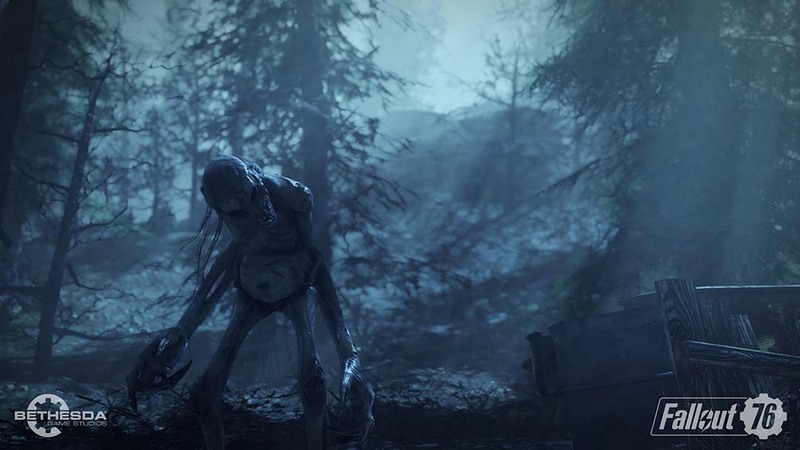 The new “Scorched” zombies, freshly-made undead that are basically the same thing as feral Ghouls seen in other Fallout games, litter the wasteland. There were times I felt overwhelmed, and yet I never died and purged all the scorched I came across. The iconic V.A.T.S. system, which at one point in the distant past would let you play the game in a more tactical way, is now real-time and feels even more bizarre. I generally only used it to quickly scope out heavily-forested areas, and resorted to hip firing or melee weapons. I’m still not sure how accurate or worthwhile V.A.T.S. is anymore, I think it serves a purpose but I tend to resort to live-fire anyway. Weapon and armor durability felt appropriate, but one thing that confounded me was the resource gathering – it’s kind of silly. I’d say the main enjoyment anyone can get out of this game is through the gameplay loop of exploring, fighting, scavenging, and then scrapping things to mod existing gear or build up your base. The base-building is basically the same thing from Fallout 4, and it generally works well. You have to gather wood and metals for your constructions, however, you can only gather wood from pre-populated resource gathering points, i.e. actual crates of logs, and not by – you know, cutting down trees like in other online survival games. I quickly got enough to make a square shack. Eventually baddies will occasionally attack your base, alongside other players. Once I started amassing lots of duplicate guns and armor I started scrapping everything and repairing or upgrading things. This, as I also mentioned previously, is going to be the bread and butter of Fallout 76. I actually enjoy the cathartic loop of endlessly collecting and scrapping things, but not everyone does. There are lots of unanswered questions or noticeable concerns with this game as it stands. In an effort to make holdout solo players like myself happy as well as discourage griefing users that want to PVP all day and night, the game has a tag based PVP system. This means you have to shoot at another player and they have to shoot back to “engage” the full PVP mode, enabling full damage. Despite my focus on playing by myself, this is a huge mistake as it removes the danger of other players in a post apocalyptic wasteland. How else can you better simulate survivors trying to rebuild the world after the rule of law collapses than let them have at it – and possibly kill each other. It just feels silly, and removes the “immersion” the developers are so keen on pursuing. This pursuit of not breaking immersion is what leads to my next gripe – the server structure. Unlike other online survival games, you create your character and are thrown onto a random server with random players. Bethesda hasn’t explained how this works outside wanting to keep maps full enough with the right amount of players, moving players around servers on the back end. Naturally, this means things will be phased in and out of your game world as servers are gaining and losing players, but it doesn’t make sense in this type of game. 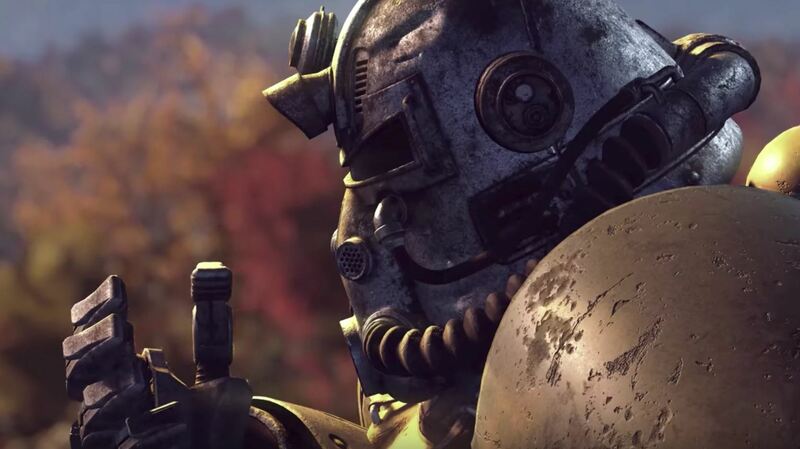 Fallout 76 should be about persistence, building things and destroying things. Furthermore, your C.A.M.P., i.e. the hub that powers your base-building, moves with you and goes offline with you too, removing that urgency. Other online survival games with base building make it clear that player-built housing exists on that particular server, and can be destroyed. It creates more value and more worth in the creations, and makes you really think about where to build. It is nice that you can cooperatively build and build wherever you want, however I’m kind of disappointed at the lack of urgency. Also, the lack of any options for servers means if you build something, leave a server, somehow return and find someone built where you did – your creations are forced back into your CAMP and you have to build elsewhere. I am really curious where the game will limit you in terms of overall size of creations, however, as you can move your C.A.M.P. around. The S.P.E.C.I.A.L. system naturally returns, albeit with new changes. When you level up and explore, you’ll gain perk cards at random. These are only given when you level up or reach certain milestones, and are totally random. You can assign stacks of cards to each S.P.E.C.I.A.L. trait (the number of points in the trait dictates the number of perk cards allowed). 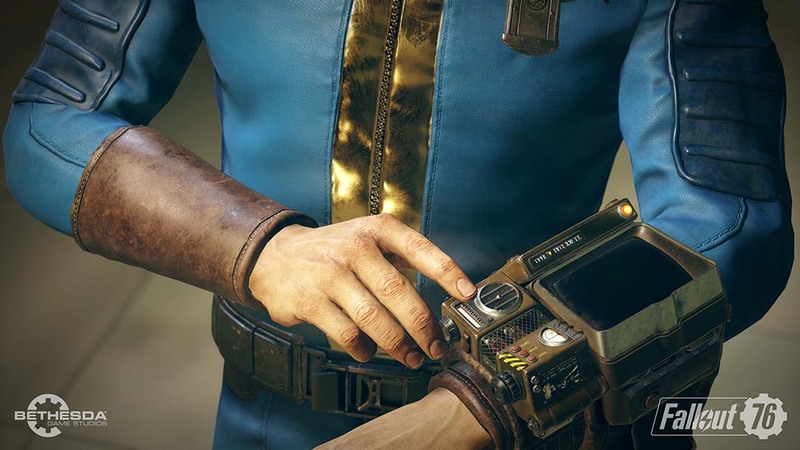 Bethesda has said these will only be obtainable through gameplay, and there’s even a soft cap of around level 50, however you can still keep obtaining more perk cards after this. In the beginning you’ll get packs of perk cards every two levels, later on you’ll get them every five levels. This essentially feels the same as the revamped perk system found in other Bethesda RPGS, but I’m worried. We all know gacha style lootcrates are all the rage with developers these days, and I’m concerned that eventually Bethesda will introduce real-world money perk card packs. I couldn’t think of a reason why they made this new card system when it essentially works the same outside the eventual introduction of premium card packs. We’ll see. Lastly, I will say the overall stability of the server I was playing on, for PlayStation 4, was pretty stable. There isn’t that much admittedly going on at one time, however, I only noticed some lag dips here and there, and I was playing on wifi. I had one instance where I was totally booted out to the title screen, though. Visually, the game is mostly on par with what’d you see in Fallout 4. Overall, I think Fallout 76 could be fun if you had a close group of friends to build things and possibly screw each other over with – but all in good fun. I’m not sure how well this will do among total strangers, considering the progression and the obtuse server structuring. There are too many unknown factors here, and I’m not sure how it will all play out at release.